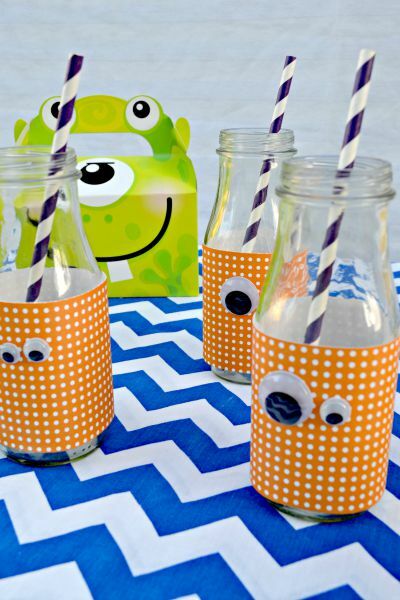 Today’s easy to create Monster party is courtesy of our contributor Blanca from Creativities Galore. Today I am sharing a scary monster party. Ok not scary actually it is quite cute if I do say so myself. 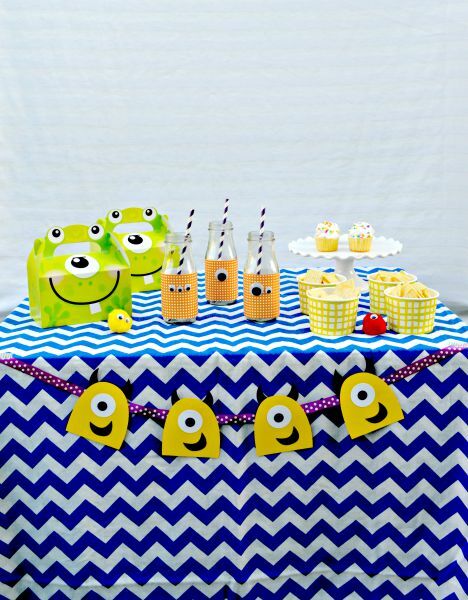 This kid friendly party is perfect for your child’s birthday party and it will not frighten any of the guests! 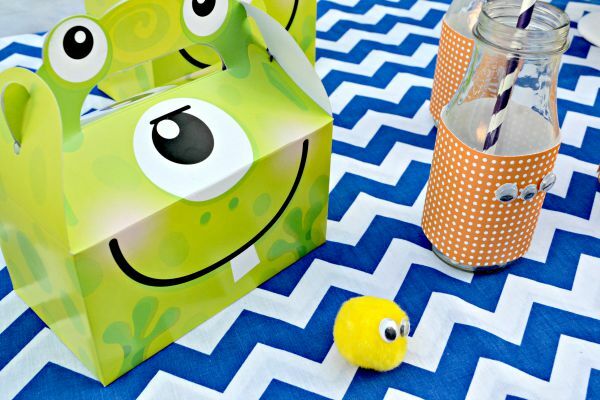 The inspiration for this party came from the adorable monster boxes that I found at my local dollar store. I thought these boxes were perfect to hold your little guests lunch, and they can easily hold a sandwich and a bag of chips. To dress up our drink glasses I added some patterned scrapbook paper, then glued some googly eyes to the paper, and finished them off with a paper straw. It’s such an easy look to recreate and the kids will love them! 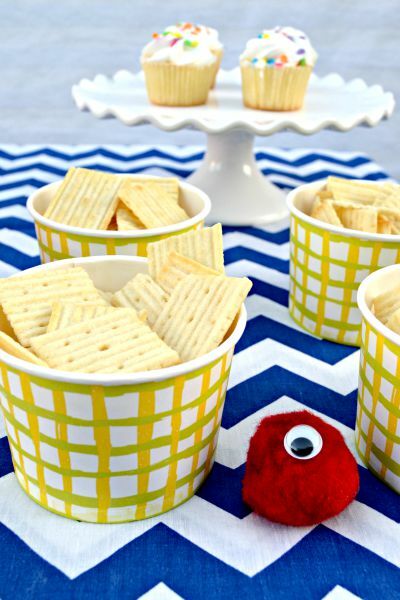 I put some chips in these fun snack cups….oh and look another little pom pom monster. My table needed a banner so I created one. I made the cute little guys, then added them to some fun polka dot ribbon and placed it right onto my table. It helped create the perfect finishing touch. As you can see I used a lot of different patterns and for this monster party and I think it works absolutely great. Are your kids fascinated by cute little monsters? Blanca is a stay at home mother to 2 boys while also working as a party stylist and blogger. 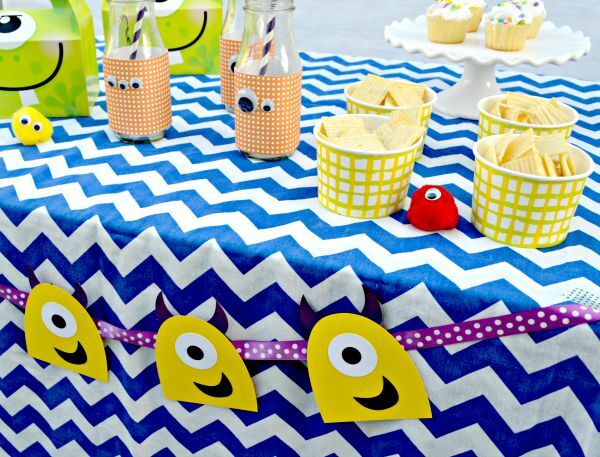 She shares budget friendly tips for parties, crafts, and the occasional recipe on her site Creativities Galore. Connect with her on Creativities Galore, Twitter, Facebook, and Google. What an adorable monster party! So creative – thank you for sharing over at Pin Worthy Wednesday – pinning right now! Thanks Amanda. 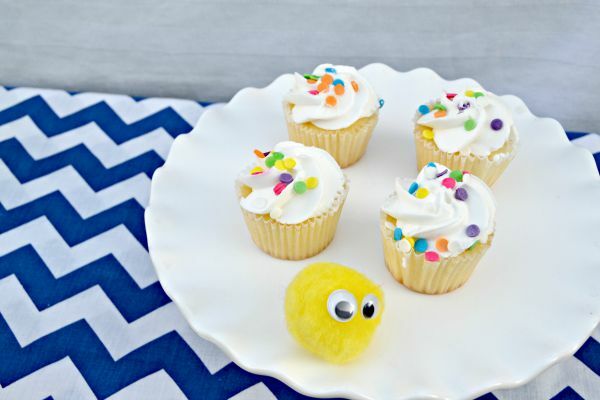 I love how Blanca made this so easy to recreate…and it’s hard to resist those cute monster’s isn’t it 🙂 Thanks for popping by and thanks for the pinning! Thank you so much Amanada! These are SO cute!! My favourite thing…? Those little monster boxes! !